Spanish outlet Marca (how they’ve got the ‘scoop’ on this we don’t know…) are reporting that Liverpool and Spurs want to activate Lucas Alario’s £15m release-clause. The Argentine has recently signed a new contract, but is a potential target for Inter Milan in Serie A as well. 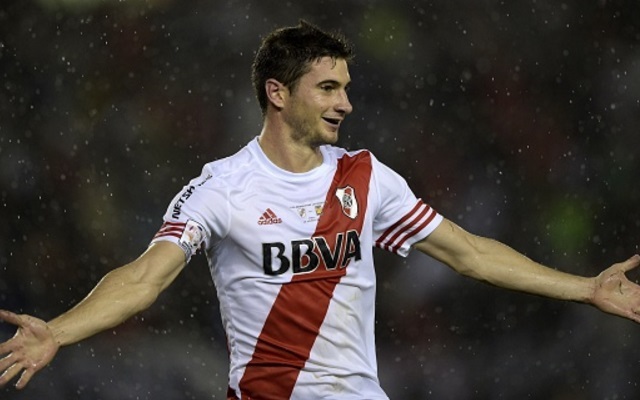 At 23-years-old, he’s won two caps for for his country but is not a household name, having yet to move to Europe and only scoring a modest 11 goals for River Plate last season. In short, there’s just no way Liverpool will even be considering signing another centre-forward right now. We’ve got Danny Ings, a forward we turned down £20m offers for in the summer, having to play in the Under-23s because of our strength in depth up top. Roberto Firmino can play here, Daniel Sturridge is the most natural finisher in the country and Divock Origi arguably the best young striker in the Premier League, too. There is, quite literally, no room and need for another! Jurgen Klopp has enough of a job on his hands to keep the current batch happy. Ings is a great professional, but he needs proper game-time at some point, something which will only happen if one of those ahead of him in the pecking order pick up an injury. Sturridge is by no means a guaranteed starter either, and Origi has not enjoyed many opportunities either.